The basics // I’m 29, which feels far too adult an age. I’ve made my home in Manchester but I’m from down by the sea near Brighton. I am an adventurous soul and try to push myself to do new things, even if I fail at them. What I do // At University I studied Law, then I spent two years as a set and costume designer before working my way up in the world of marketing. I’m in a job I love, even if it does mean some long days and nights. Some of my favourite things // I wear trousers or jeans almost every day. I like to take long, hot bubble baths whilst reading spy novels (a Len Deighton most likely). I am borderline obessed with old landrovers and would happily buy a barnful if I won the lottery. Nothing makes me more gleeful than a handwritten letter in my postbox. And I eat a lot of chocolate. Always too much chocolate. 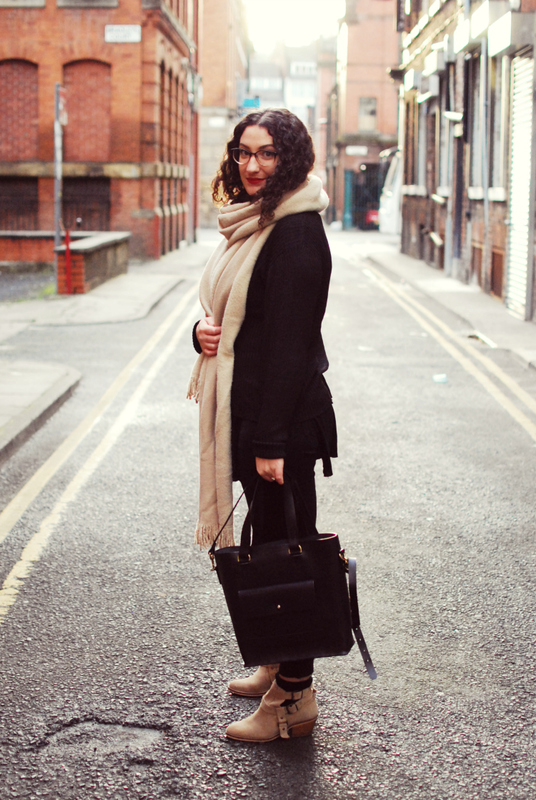 My style // I’m a big fan of basics with a twist. I can spend far too long drooling over the perfect grey tee or striped jumper… I like to try and find clothes that make me feel like me, rather than just the newest thing in the shops. I’ve taken an ethical fashion pledge too, so you can expect to see a lot of restyled pieces, charity shop finds and new ethical brands I love. I hope that gives you a little more of an idea about me! Go have a little explore with the navigation buttons, hang around for a bit and thank you so so much for stopping by- It makes me smile oh so much. If there is anything you want to ask or feel like saying, go ahead and drop me an email. I’d love to hear from you!